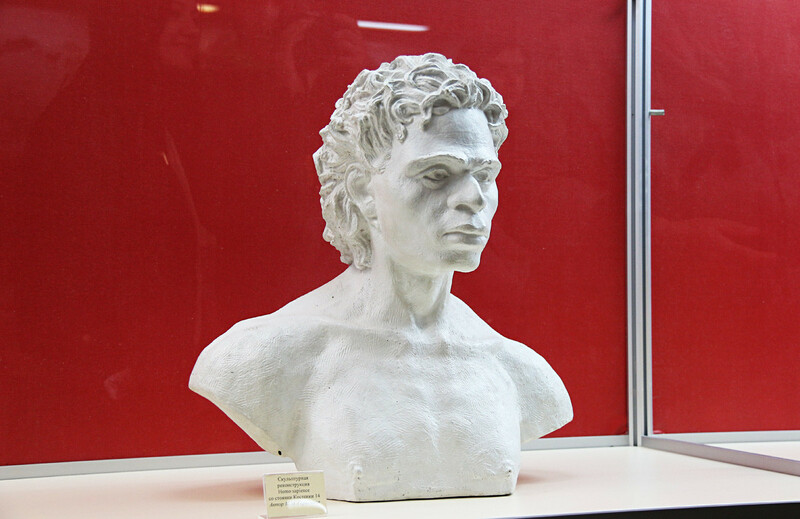 Did Homo sapiens come to Russia earlier than to the rest of Europe? Mammoth Stepan, the symbol of the Kostenki archeological museum. According to archeologists, a site in the village of Kostenki, Voronezh Region, is the oldest discovered settlement of Homo sapiens in Europe – around 45,000 years ago. Their houses, built of mammoth bones, are still there. One day in 1949, Ivan Protopopov, a local in the small village of Kostenki, Voronezh Region (500 km south of Moscow), began to dig a cellar in his yard. He must have been quite surprised when his shovel hit a large white bone. Seconds later, he found plenty of them in his yard. 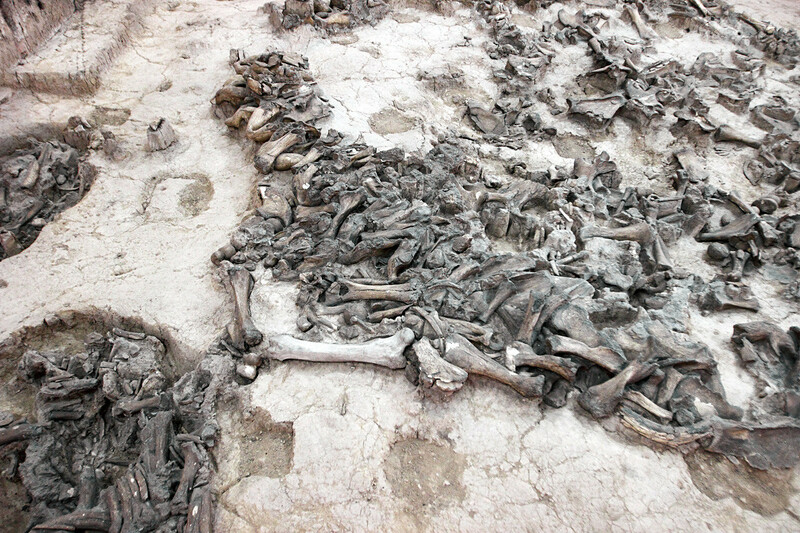 Protopopov called an archeologist Alexander Rogachev, who was conducting research in Kostenki, and subsequent excavations showed that the villager had been living on a Stone Age house built of mammoth bones. As further research showed, the area is full of traces and artifacts of human activity from the Upper Paleolithic Period (40,000 – 10,000 years ago). 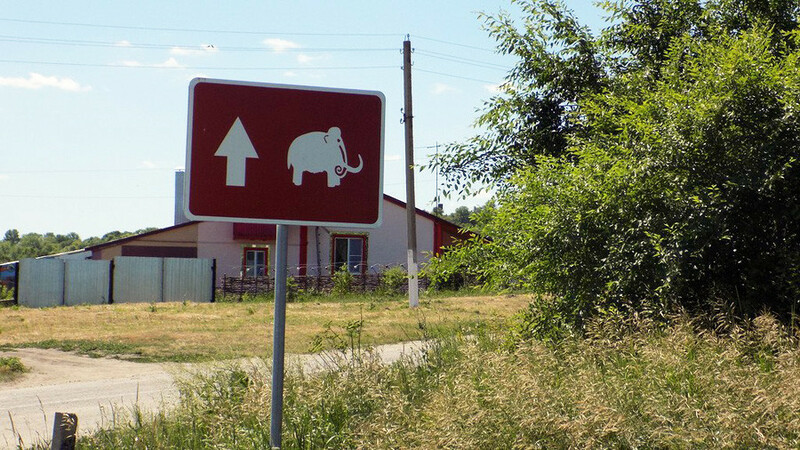 That's a sign you can meet in Kostenki, and in Kostenki only. Almost 70 years later, in September 2018, we’re talking with the Kostenki State Archeological Museum’s chief researcher, Irina Kotlyarova. In a huge pit before us, right in the center of the museum, lie the remnants of the mammoth bone house. “The Soviet government decided to build the museum around this site,” explains Kotlyarova. 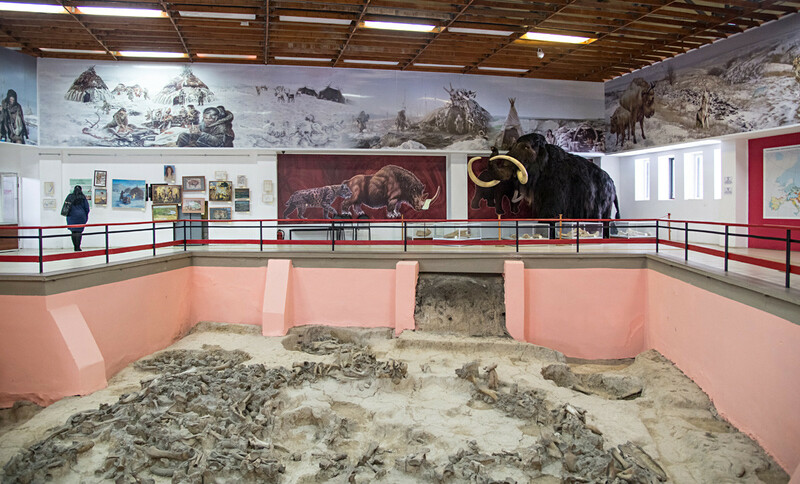 At first, it was just a small wooden house, than it turned into what we see now – a concrete cube with the bas-relief of a mammoth on it; with a mammoth bone house and other exhibits, including an artificial mammoth, Stepan; as well as spearheads of bone and stones, and Venus figurines (Paleolithic fertility statuettes depicting women). The cubic building in the center is the Kostenki museum. Kotlyarova clarifies that the museum exhibition is not the only place of ancient discovery – some 26 sites in Kostenki and Borshchevo (a nearby village) show traces of Stone Age civilizations. Excavations are ongoing. Just a couple of years ago, when the museum administration tried to build a boiler room in the backyard, they found yet another bone house, which is now under excavation. It seems that Kostenki is a never-ending source of archeological treasures, “a mecca for archeologists,” said Kotlyarova. 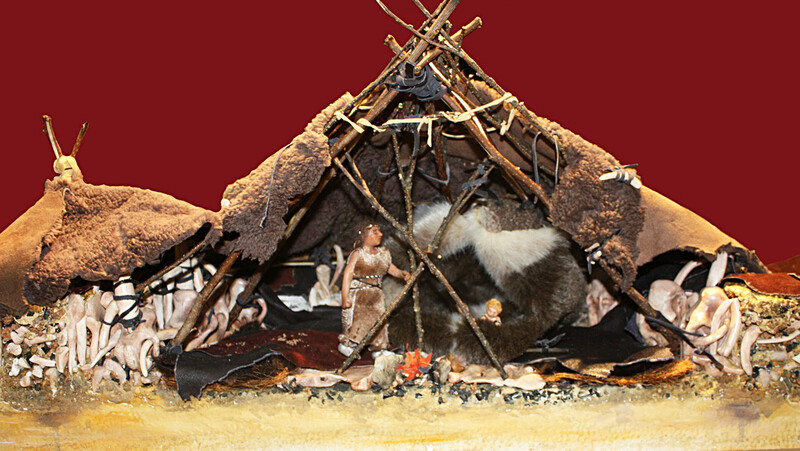 The mammoth-hunters made their homes out of bones, covering them with reindeer skins. Entrance to the house was so small that one could only crawl into it; people lived in the freezing temperatures of the permafrost. The climate has changed a lot in the past 45,000 years, and now it’s nearly impossible to imagine the Voronezh Region covered with permafrost. Yet, 45,000 years ago mammoths roamed these lands and our mammoth-hunting ancestors followed them. Skull reconstruction in Kostenki which helps to understand how the people from the Stone Age possibly looked like. 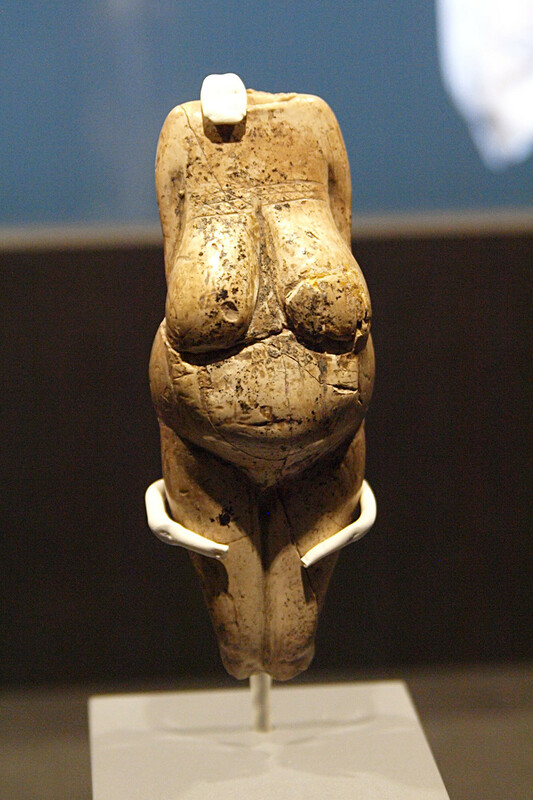 "The Venus" from Kostenki, an ancient statuette of a woman, found in Kostenki. Today, this is true only to some extent. With its museum and picturesque views, Kostenki is situated 70 km south of Voronezh, and it’s hard to get there without a car. A bus leaves the station every morning, but there is no direct route back. 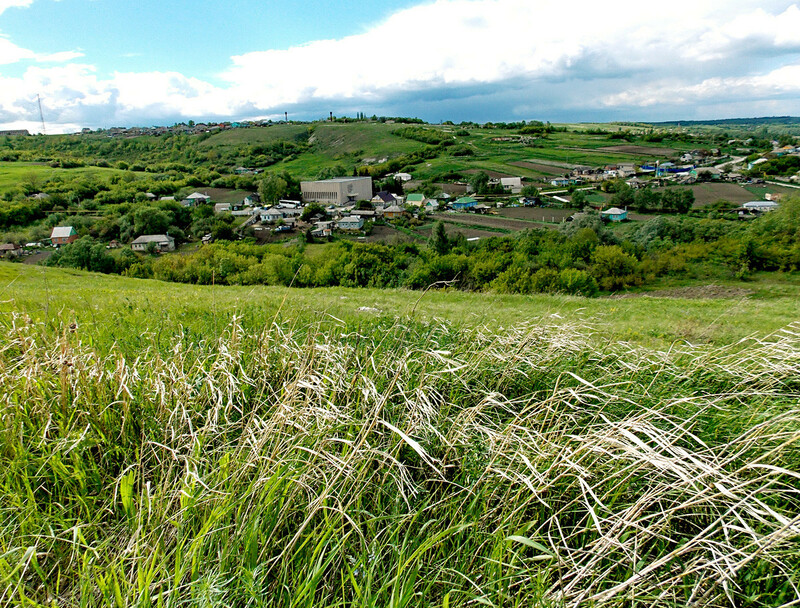 Visitors have to go to another village and transfer in order to return to Voronezh. “Only if we get noticed on the federal level will this attract attention and investment to Kostenki,” said Irina Kotlyarova. For now, Kostenki is a mecca for archeologists, but not for tourists. Still, Kotlyarova believes that as long as there are Stone Age enthusiasts Kostenki will live on as an important historical site. If you're interested in ancient history, we have an article on how Romanovs came to rule Russia. Of course, it's not the Stone Age, just 300 years ago, but still.